During those hot and sweaty summer days, many of us would prefer spending our time outdoors at night when temperatures cool down. 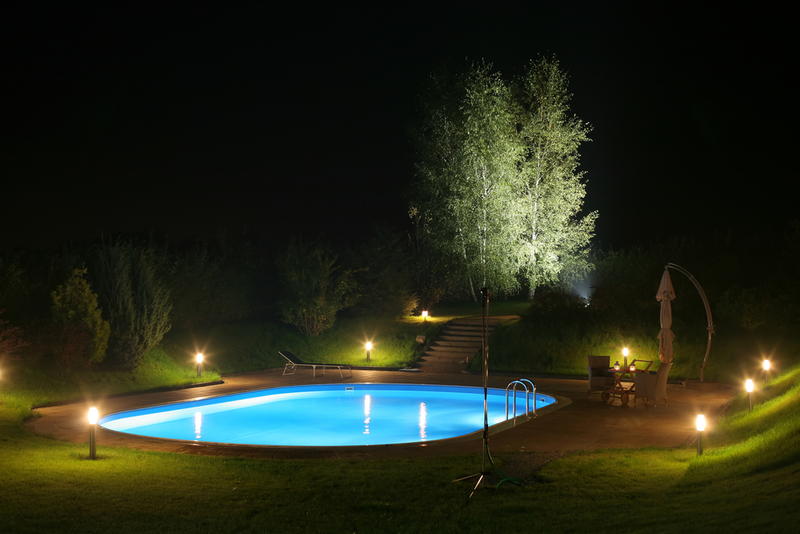 Increase the enjoyment of hanging out in your yard with the benefits of outdoor lighting. Read our blog to learn how outdoor lighting improves your outdoor experience and home security. Outdoor lighting makes your outside living space even more alluring at night. During the day, your property visually breaks up into two parts — your home and your outdoor space. With proper lighting at night, your home and outdoor space transform into one continuous living area. What seems commonplace during the daytime can become dramatic and enticing under outdoor lights at nighttime. Additionally, the lighting encourages people to move around from space to space. Fences and shrubs that mark property lines disappear in the dark. Under proper lighting — and photometric science — we create a wall of soft light around your yard’s boundaries. This allows you and your guests to see the edges of your outdoor living space without being blinded by a flood of light. Just like inside your home, outdoor lighting defines spaces and enhances functionality. Make your outdoor spaces eye-popping by using lights of various heights, brightness and hues. Like painting, you can create dramatic effects to improve your outdoors! Better exterior lighting helps to deter intruders by eliminating dark areas around your house where they can hide. Additionally, well-lit outdoors will make your video images clearer, if you use a home security surveillance system. Outdoor lighting also can improve your safety on walkways, stairs and other obstacles. Outdoor lighting can make your outdoor living space more attractive and increase your home’s security. Call Henderson Electric and let us show you all of the amazing possibilities to turn your yard into a place where you want to hang out at night.